Setting up Google My Business (GMB) is one of the easiest things you can do to get more customers. 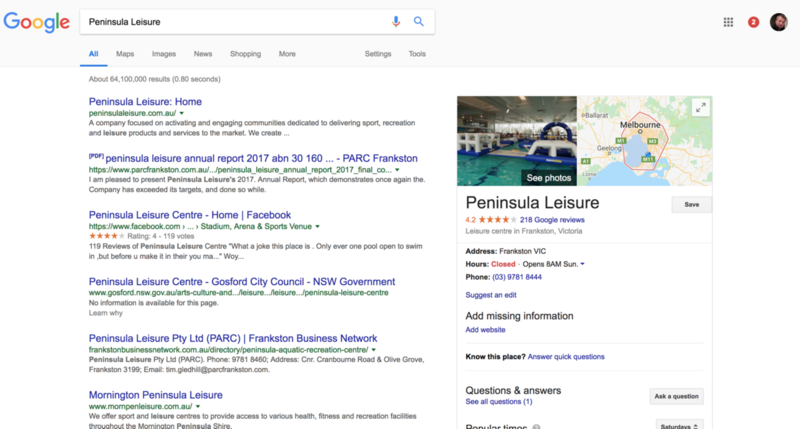 Even though you might not know it by name, you will undoubtedly have seen it in action when you have looked for something local or for a brand on Google. It is quick to set up, and best of all, it’s 100% free – that makes for pretty good return on investment! GMB is a tool that lets you manage how your business appears in Google Search and Google Maps. It is where you manage how your business appears when people are looking for your products or services, or where they go to check what other people are saying about you. Inside the tool, you can update your business name, contact number, website, your opening hours and location(s) and you can also add photos and respond to reviews people leave for you. 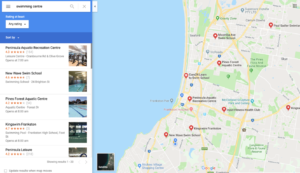 Google will even nudge you when there is a public holiday to see if you need to update your opening times to make sure your customer experience is good. People who are searching for something local are likely to be looking to purchase something right away. In fact, 50% of people who search for a product or service “near me” visit a store within a day *. More than a third of people on desktop and tablets who do a similar search also visit a store within a day. So, if your business is not in in Google’s directory – you are missing out on all of that FREE traffic. 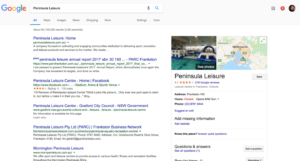 That’s right – unlike Google Adwords where you pay to appear, Google My Business will present your online listing to people who are likely to want to buy from you, for free. GMB is also an essential part of your SEO strategy – it places you on the map, so Google knows when to send search traffic your way. More on that in an upcoming article. Once you are set up, Google will send you a monthly Insights report to tell you how your business listing is performing. They will show you how many times people viewed your listing, clicked through to your website, called your phone number or asked for directions to your location. Having a great GMB listing means you get massive exposure on Google Search pages – filling the right side panel on a desktop/tablet and the top section of search results on mobile. 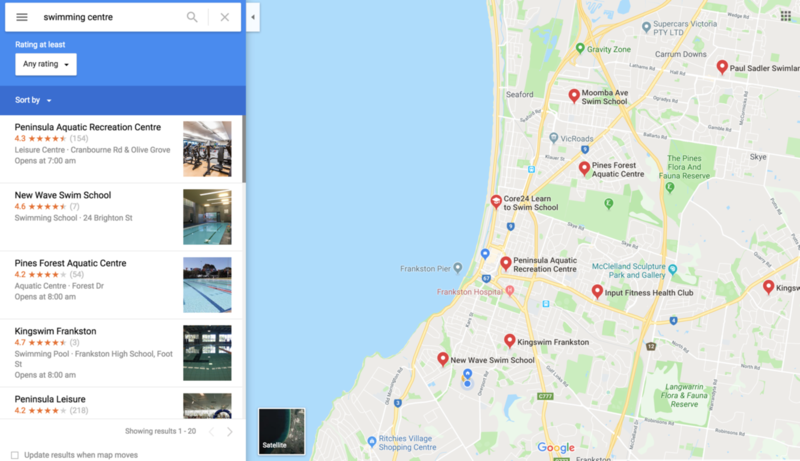 Your GMB listing will also appear in Map results when people are looking for a business near them. Your name, customer rating and profile picture appear along with a Map pin showing the customer where you are. Creating your GMB business listing is straightforward. Follow the instructions at https://www.google.com/business by clicking on the “Start” button in the top right-hand corner. You will need a Google Account to be able to manage your GMB listing, and you can create that at the same time if you don’t already have one. Google will verify that you really own the business you are listing. For most of us, that means that Google will send you a postcard in an envelope to the street address you nominate with a PIN code just for you. You will receive it soon after setting up your profile, and once you enter it, your listing will be verified and go “live”. If you don’t want your address to be visible – you don’t have to display it. Help – I got a bad review! Firstly, don’t panic! Managing your online reputation is really important, and how you respond to reviews, including negative ones is essential when it comes to influencing other buyers. Reviews, even negative ones, can be an excellent opportunity to provide follow-up customer service and reinforce your company’s brand values. Don’t be tempted to threaten negative reviewers – if you think you’ve have been wrongfully treated you can take your case to Google for review. In any case, trying to win back the confidence of your unhappy customer publically may be a factor in another customer deciding to go with you over your competition. We know that just because things aren’t hard, it can still be hard to find time to do them. We make sure your GMB listing is highly optimised when you select any of our Digitial Marketing service offerings. If you are not ready to jump into outsourcing your digital marketing just yet, but you would like us to help you get your GMB listing set up, we do occasionally run a promotion to get you set up for $50. We can’t tell you how much of a discount that is, because we don’t regularly offer it as a separate product! In any case, let us know if you need some help, and we’ll let you know when the next promotion is running. In the meantime, get your Google My Business listing online – your competitors probably already are. Don’t let your traffic go to them! P.S. You don’t always need to display your street address if you have a home-based business or a business that only provides services or products at client addresses.